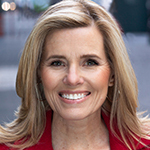 Kelly Wallace, who has served as an on-air news correspondent for CNN, Fox News Channel and CBS, has been named managing director of TrailRunner International’s New York office. Wallace was most recently at CNN as a digital correspondent and editor-at-large. She also worked as an associate producer at the network in the 1990s, and later returned as a correspondent covering the White House, the Mideast and the 2004 presidential campaign of John Kerry. She has also served as executive director of video and chief correspondent at iVilliage, a company that operated several websites targeted at women. In her new role, Wallace will lead TrailRunner’s New York team, as well as working with clients on corporate reputation, media affairs, crisis management and influencer engagement. Truckee, CA-based TrailRunner also has offices in San Francisco; Washington, D.C.; and Shanghai.